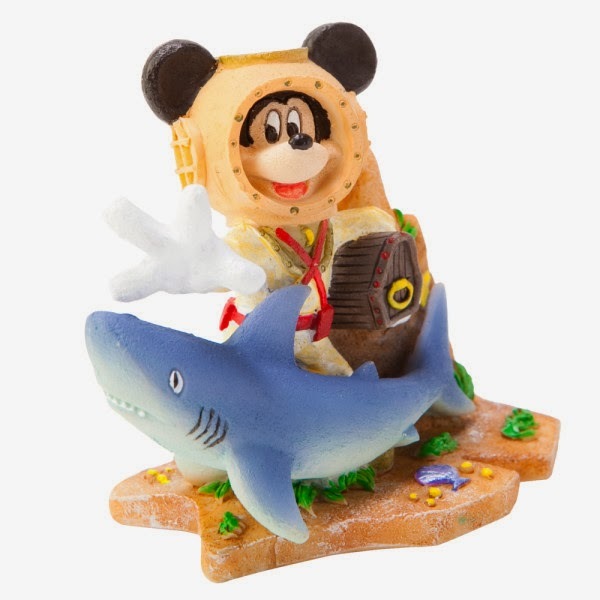 It’s Mickey Mouse and a fish… it’s Mickey Mouse in a fish tank! 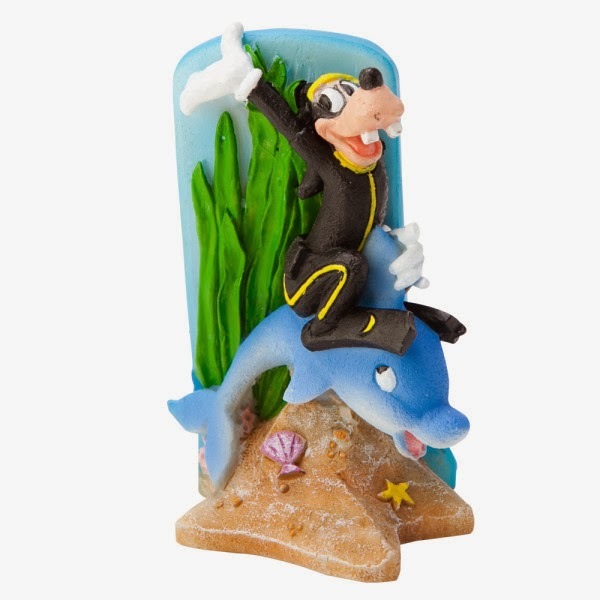 PetSmart has released a new line of Disney ornaments, for fishes. 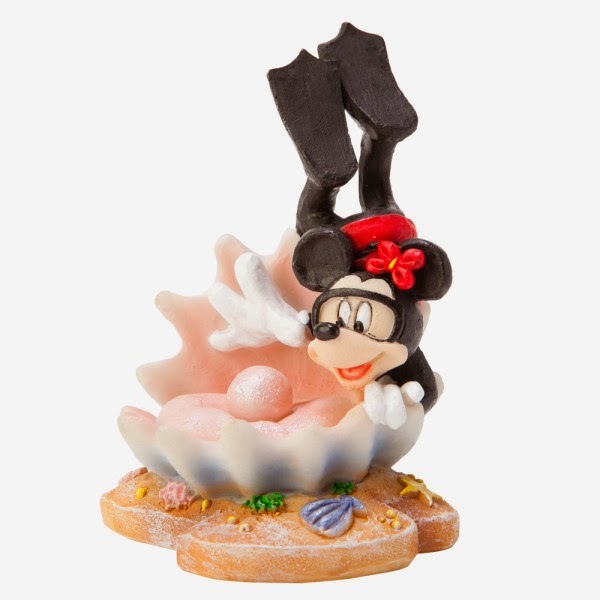 Mickey, Minnie and Goofy are together having fun in the sea, these cute ornaments will look adorable in your fish tank. PetSmart Disney ornaments, starting at $6.99. These are intended for decoration of your aquarium, in Freshwater and Saltwater. 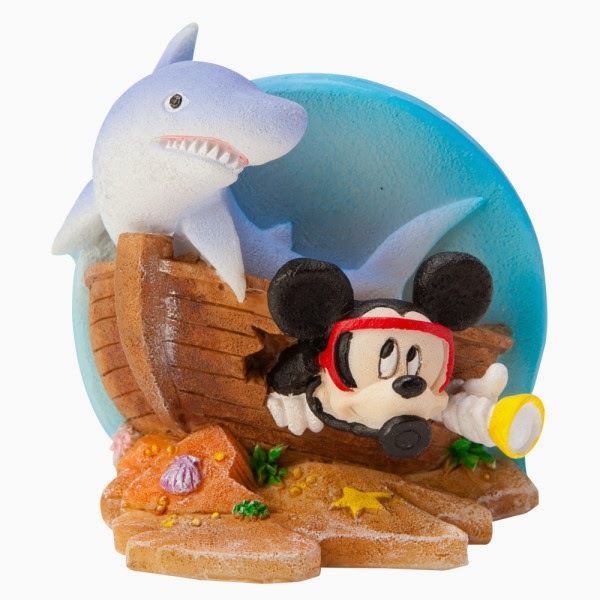 The generous folks at Petsmart are giving two of Susan’s Disney Family readers a chance to win the new line of Disney ornaments for your fish tank, the prize pack includes the 4 new fish tank decorations from Petsmart. Would you like to win? Please visit Persmart, take a look around then come back here and let me know what else you love from the site. There are also other ways to enter, please enter below. Disclosure: The reviews and or opinions on this blog are my own opinions . I received nothing to post this. No monitory compensation was received. I was not required to write a positive review. Your experience may differ. The opinions I have expressed are my own I am disclosing this in accordance with the Federal Trade Commissions 16 CFR Part 255: Guides Concerning the Use of Endorsement and Testimonials in Advertising . 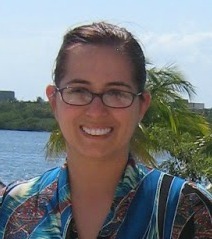 I love their Gentle Leaders! I love their selection of cat food! I can get anything and everything there!!! I love all their dog toys and treats. I could use the Petmate® Compass™ Fashion Carrier. I love being able to bring my dog there with me and letting her sniff everything until she chooses the snack SHE wants! I like cat furniture so the TRIXIE Pet Products Baza Grande Cat Tree is nice. I love that store so much! I love the cat food. We have to buy our dog food there, we have dogs that are allergic to most foods. I like their dog toys. I like that I can find toys that are teh right size for my chihuahuas!! The Blue Buffalo Dog Food! I have frogs and fish so anything to do with that I am interested in! We love their selection of dog treats & my dog loves to go. We love their pet food. I like that they carry grain free, soy free and corn free dog products. I always get our dogs food there. As well has treats and small toys. I like the camo halter for dogs. I love the kong dog toys available there! Its the only toys my dogs can have that they don't destroy in minutes! I like the Dentley's dog bones. They have a lot of great dog beds. I like the care bear dogs toys they sell at Petsmart. I like the goDog Bruto the Brontosaurus Dino Squeaker Dog Toy. I like their prices and how often they have printable coupons. I love their fish tank decorations! They fit big and small tanks! I LOVE their Loofa Toys so does my dog! I love their Kong reflective harnesses, such great safety addition for our furbabies. I like the low prices on cat food. I purchase wet food for my cat there. Those are so neat! I like how PetSmart has a bunch of Disney stuff now. The Mickey Mouse dog collar is cute. Same with the Toy Story dog shirts! i love the great prices on cat and dog food, and the kong dog toys! I like the Top Fin Castle Bridge Aquarium Ornament. i like to get the grain free treats at petsmart for our dog. i am tony l smoaks on rafflecopter. I like the cat toys! I like their dog and cat toys. I like to get Male Betta Fish, great prices! I go there to get treats for my bulldogs. Love Petsmart.